The tranquil pavilion of steel and glass, from which every seasonal change may be observed, is poised above the ground and kept usually open to the landscape. In its relationship to the natural surroundings, there exists no suggestion of a contrived formal composition; indeed, the building’s occurrence in the landscape would seem almost fortuitous were it not for the harmony which has been established between the architecture and the terrain. Independent, yet at the same time interdependent, this alliance between the organic and the inorganic creates a convincing image for a technological era. 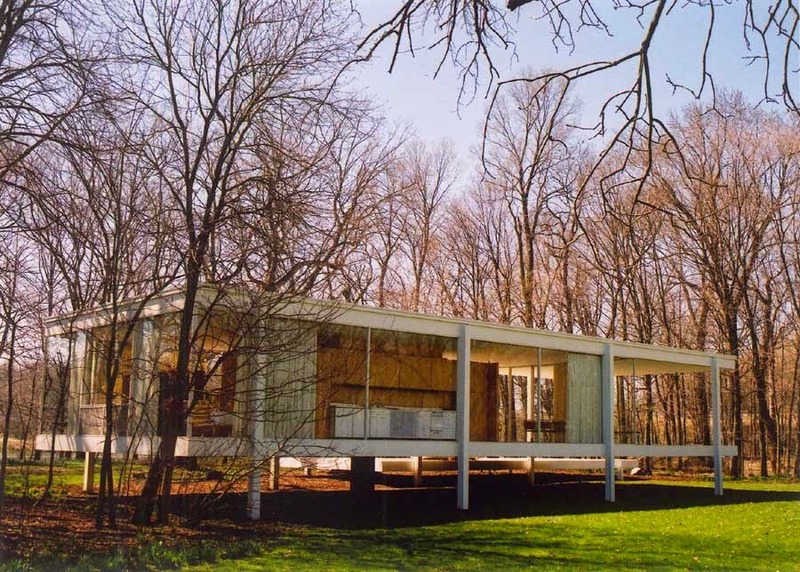 On this date, October 29, back in 1951 everything was most definitely NOT tranquil at Farnsworth House as it sat, uncompleted, while Mies van der Rohe, its architect, and Dr. Edith Farnsworth, its eventual owner, fired lawsuits at one another. On July 13, 1951 Mies filed a mechanic’s lien foreclosure suit against Dr. Farnsworth for nonpayment of fees. The doctor did not pay. 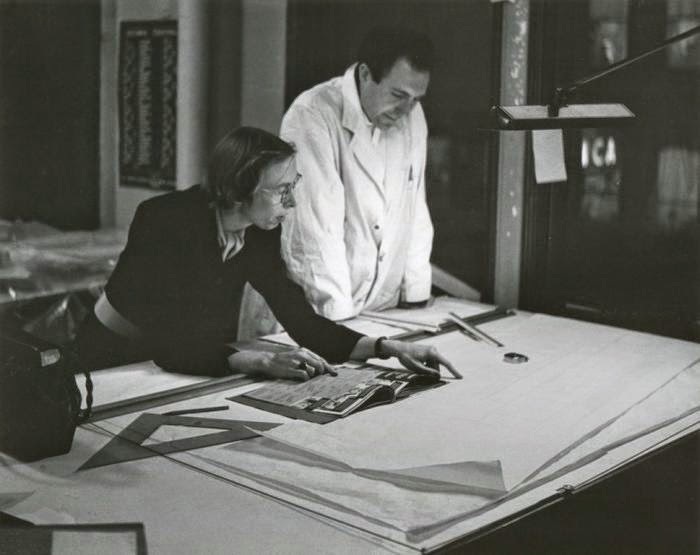 Instead, on October 29 she filed a counter-suit in the Kendall County Circuit Court, alleging that the architect had by “fraud and deceit” led her into paying $33,872 more than the original price upon which they had agreed in 1949. Additionally, the suit charged Mies van der Rohe with negligence in the handling of construction plans and with being less than honest in his accounting of expenses on the project. The suit sought an accounting of all expenses. Mies van der Rohe ended up winning the lawsuit and collecting his fees. Dr. Farnswoth ended up living in the glass house for another 20 years. The two never spoke to one another again. Despite the lawsuits and the acrimony the 2,215 square foot house in Plano has stood the test of time and the ravages of nature. It is now viewed as one of the great triumphs of Mies van der Rohe’s career, more or less. Or is that less is more? Mies van der Rohe being sued really was a surprise. The court system was slow back then too. Looks like Mies was winner in the end, but issue must have been a real threat to his work at the time. Very interesting story and great picture of the house. Rule #1, you don't bad mouth your opponent in court before judge. Rule #1, you don't bad mouth your opponent in court before the judge. My grandfather was an excellent attorney, my father slightly less so. I wasn't alive when this case was tried, so I don't know any details, but civil cases are always messy.